These comprehensive evaluation forms help clinicians with differential diagnosis of orthopedic conditions by looking closely at pain generating structures and the casual factors contributing to the affliction. Non-returnable. 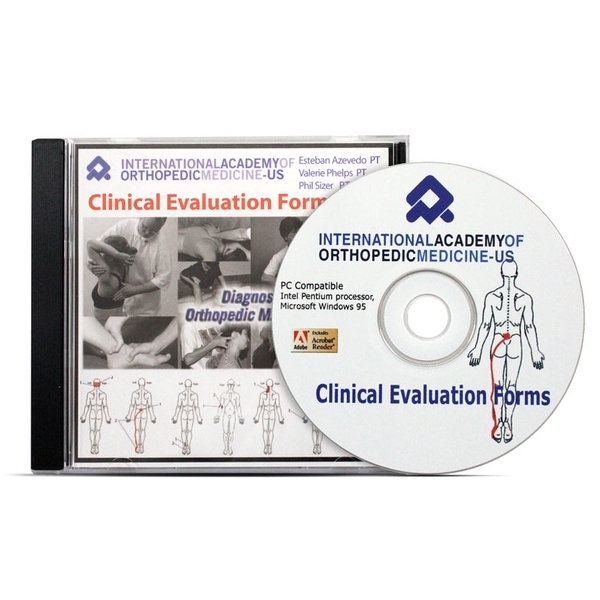 The basic functional examinations (BFE) and local segmental examinations for the spine, upper, and lower extremities are included on this CD-ROM. 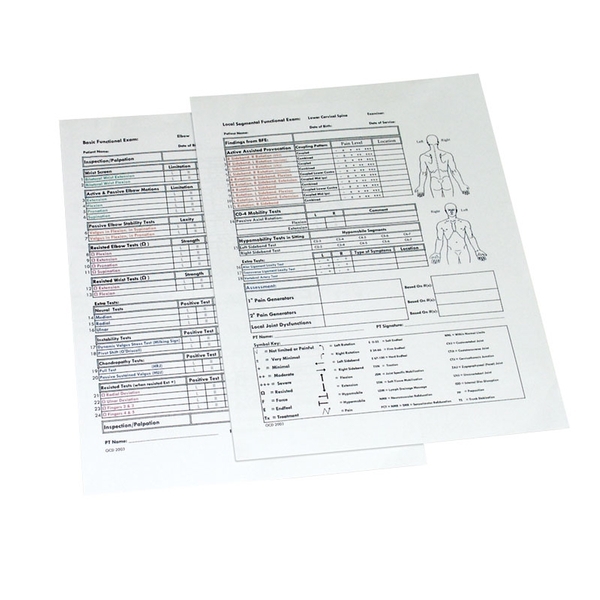 These forms simplify communication to referring health providers using the IAOM algorithm for clinical diagnosis. Tests and results are clearly documented in each section, qualifying the diagnosis. Re-evaluations show measurable objective improvement with these forms. Complete documentation includes: patient's symptoms, location of local and referred pain provocation, limitations for active and passive motions, assessments of strength and pain provocation, special tests as appropriate, and interpretation of primary and secondary pain generators, joint dysfunctions, and neurological symptoms.